I have been eating these, tiny sliver by tiny sliver. There is even a knife, whose soul purpose for the next few days will be to cut these tiny slivers…it will lay beside the pan of brownies, until its duty is complete. I have dedicated flat ware. That is how a grown woman eats brownies. A grown woman who tries not to scarf down a whole pan of rich fudgey brownies in one afternoon. 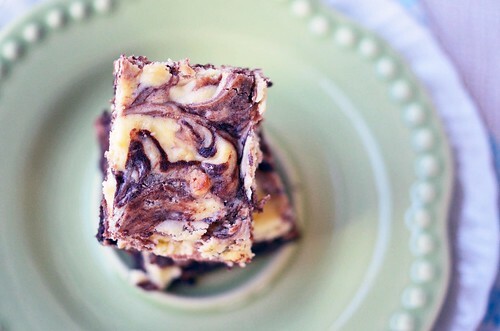 And not just any brownie…brownies marbled with cream cheese. Oh yeah, I meant business when I made these. I figure if you eat little by little, then one brownie can last you nearly a whole day…maybe. Sometimes. Oh, and there are no calories in small tidbits of brownie. Did you know that? Totally true. You wanna know when I like to eat my tiny bits and pieces? When my real meal is cooking. When I am warming the milk for my oatmeal in the morning, or when my coffee is brewing, or when the vegetables are sauteing, or when the quinoa is simmering away. 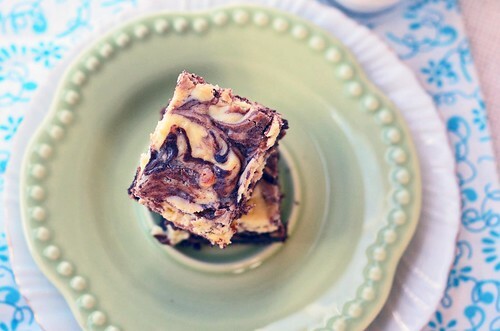 When I am able to nibble on brownies while waiting…well that my friends, that is a good day. A good day because on most days I don’t have delicious brownies to munch on while I wait for the main dish. Generally, I am munching on tid bits of bread, a spoonful of PB, a handful of shredded cheese, a few almonds, chocolate chips, handful of cereal…anything really. Anything not moving that is. And then I wonder why half way through my actual meal I am full…*shrug*. 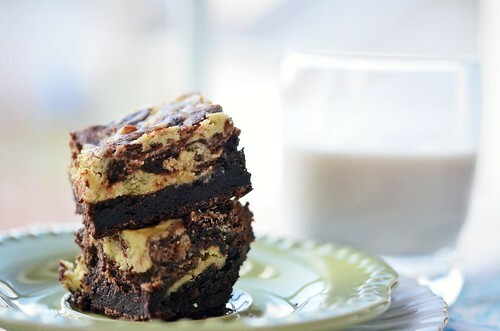 But brownies…well brownies and especially these brownies deserve more than what I am able to provide for them. So, it is up to you. Yep, you. 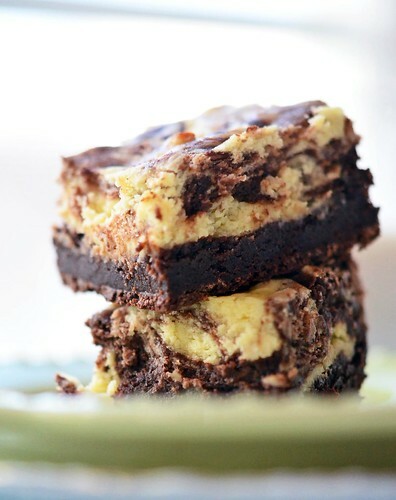 Those of you reading this, it is up to you, to make, to share, and to enjoy these decadent brownies. They would love to be the centerpiece of an after school snack, dessert on Wednesday night, or packed in your lunch to brighten your afternoon. I am however, going to freeze what I have left and enjoy them slowly over the course of the next few weeks. 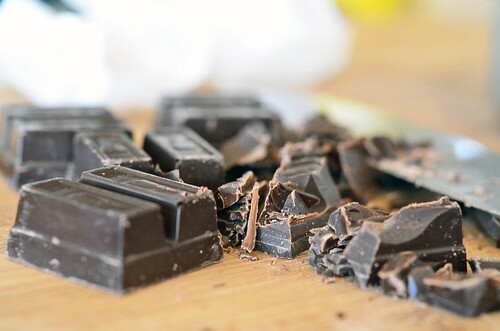 Whenever a chocolate urge strikes….I will have something in my arsenal (freezer). Something this girl most definitely likes to keep stocked! Preheat oven to 350°F. Butter the bottom and sides of a 8×8 square pan – or line the pan with parchment paper. Place a glass bowl over a pan of simmering water – make sure the bottom of the glass bowl does not touch the simmering water. Into the glass bowl, place the semi-sweet chocolate and butter. Slowly melt the chocolate and the butter, stirring occasionally. Meanwhile, sift together the cocoa, flour, salt, and baking powder. Set aside. Once the chocolate and butter are melted, remove from the heat (keep bowl over pan of water). Once the sugar is whisked in, remove the bowl from atop the pan and then whisk in the slightly beaten eggs and then the vanilla extract. Do not overwhisk the mixture. Sprinkle the dry ingredients over the chocolate mixture. With a spatula or wooden spoon, fold in the dry ingredients just until combined. Do not whisk or stir, just fold. Make the cream cheese swirl. In a mixing bowl, combine the cream cheese, sugar, vanilla, and egg yolk. Beat ingredients together until the mixture is smooth and creamy. Pour 1/2 of the brownie mixture into the prepared brownie pan. Drop 1/2 the cream cheese filling, by the spoonful, onto the brownie layer. Spread the remaining 1/2 of the brownie mixture over the cream cheese mixture. Then dollop the remaining half of the cream cheese mixture onto the top of the brownie layer. 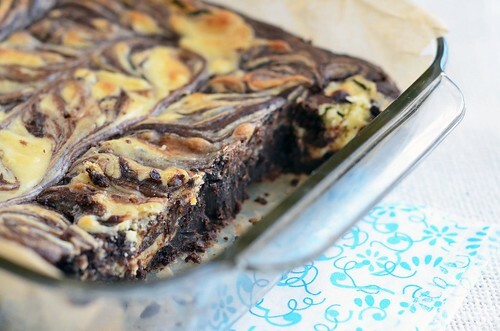 Pull a butter knife through the brownies, marbling the two together. Place brownies in oven and bake for about 35 to 40 minutes, until a toothpick comes out with just a few crumbs stuck to it.